Located on the sea front, the Maritim hotel with a views of the Bay of Luceck and Mecklenburg, offers its guests unforgettable holidays. Just in front of the hotel there is a wide sandy beach where guests can sunbathe, swim or stroll. 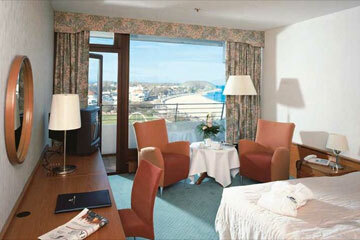 Guests can also relax in the hotels sauna, solarium and swimming pool. Guests will relax and rejuvenate their bodies in the modern wellness center offering face and body treatments. In the Ostseerestaurant restaurant guests will savor sumptuous breakfast buffet, as well as late risers breakfast and a la carte dishes. 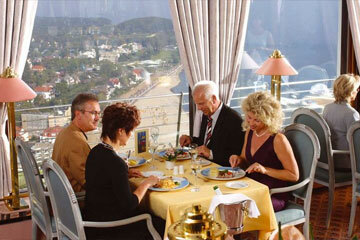 In the Uber den Woken restaurant guests will enjoy a la carte menu, tea, coffee and cakes admiring panoramic sea view. In the beer taverna with summer terrace guests will try excellent beer and regional meals from the hot stone. 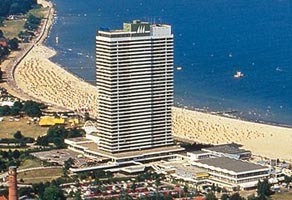 The Maritim Hotel 240 rooms including 96 non smoking rooms. 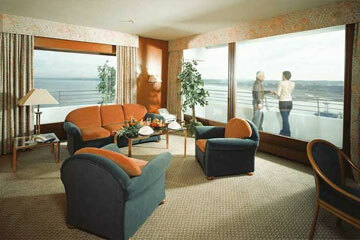 Superior rooms plus also have corner bedroom with 2 loggias and large panoramic windows with views of the beach. The suites also have a large living room, bedroom with loggia, panoramic windows, trouser press, and spacious bathroom with 2 basins. 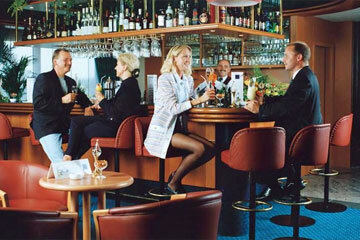 The hotel is located 2 km away from the main railway station, 80 km away from the airport.